Security training for your whole company, using password keepers, backups, WiFi security, avoid phishing and spoofing scams. 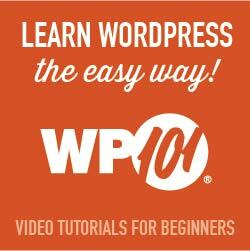 Fix broken WordPress sites, e.g. plugin problems or trouble migrating your site to a new hosting company. I fix many site speed issues, that affect page load times and reduce sales. Evaluate plugins and themes for errors, compatibility with your site, duplicate features. Convert old table-based (e.g. FrontPage) or fixed-width websites into modern responsive WordPress sites. Make your site work well on all modern browsers, from cell phones to wide-screen monitors. I use only WordPress themes that have been thoroughly checked for features and security. Then I customize it to look good. Video security camera systems, that you control without bringing Chinese spy computers in. High quality images, motion detection, store video alerts for future viewing or police reports. Inexpensive, customized for your location. I help small business owners with WordPress security and troubleshooting. I get web sites working and keep them working. It’s too time-consuming for you to do, and keeps you from those better things for you to do. I’m a professional web site developer, WordPress developer, and database developer. Let me do it. I’ll show you how to do the basic things you need to do, even in technical topics, in a way that is clear and certain. I keep my clients’ sites safe. I’ve removed hacks from WordPress sites, and installed security software to block most “drive-by hacking” or “brute force login” attacks (but I can’t stop the world’s worst hackers). I install the security you need at the hosting-account level, and the WordPress level. I recommend hosting companies that do their part (most do not! ), for server-level and across-hosting-company security. How important is it, to your business, that your WordPress site and hosting account are set up properly, so your site is much less likely to be hacked or get malware added to it? Many people do not update their WordPress software, plugins, and themes; or don’t do it often enough. Updates improve features, and fix bugs, and often fix security issues. But they’ve had updates cause problems, or more likely have heard about that. Well, have me do plugin and theme updates for you, or let me get your site working again quickly if you do have a problem. I’ve worked in technical support for large companies, and improved how the department finds solutions and communcates to customers. I am very good at finding actual solutions to computer and website problems. I can get the best results out of the technical support team for your hosting company — so you won’t have to. As I find answers to problems, I’ll keep posting them here, (or my more technical solutions site) so come back for more. I write the solutions that I had to look up or a client needed, whether a problem from today or one I figured it out a while ago. Picking a theme based on how it looks is rarely a good approach. Most of the time, there are things you like as well as things you want to change, about the look. Most themes written by excellent graphic artists, have bugs and security holes, simply because the authors don’t have programming and anti-hacker skills to equal their graphic skills. Even if you love the entire look of some theme, get a well-written theme instead. Get a theme with excellent support, with excellent security. Then, any theme developer or any expert at the excellent theme, can transfer the images and other things you like, to the excellent theme. Here are two of my sites, based on the identical theme, just different pictures and colors: Molten Salt Reactors and this one. The best themes include slide shows, video players, multi-column layouts for portions of a page, and much more, without you having to install multiple plugins to handle those essential features. That will be easier to use, since there is a consistent user interface. That will be more resilient, less prone to problems, since the parts are designed to work together. Would Multiple Sites Be Better? Would you benefit from using WordPress in Multi-Site mode, to save you doing tedious administrative work for multiple sites? If you are talking to specific people, with related problems but different ones, or even different ways of speaking about their problems, well, you often wind up marketing better to them on their own site, than you would with one combined-for-everyone site. Each would be a completely separate site, as far as your customers could tell. If WordPress is configured correctly, having several sites takes no more administrative work at all. You can have WordPress Multisite, all on the same hosting account, all using the same plugins, same steps for writing articles, same steps for administration. Each can even have different background pictures or colors. Different mentions on Facebook or LinkedIn. Different keywords and descriptions on Google. Please let me know what you need — I like finding answers to business people’s actual problems.